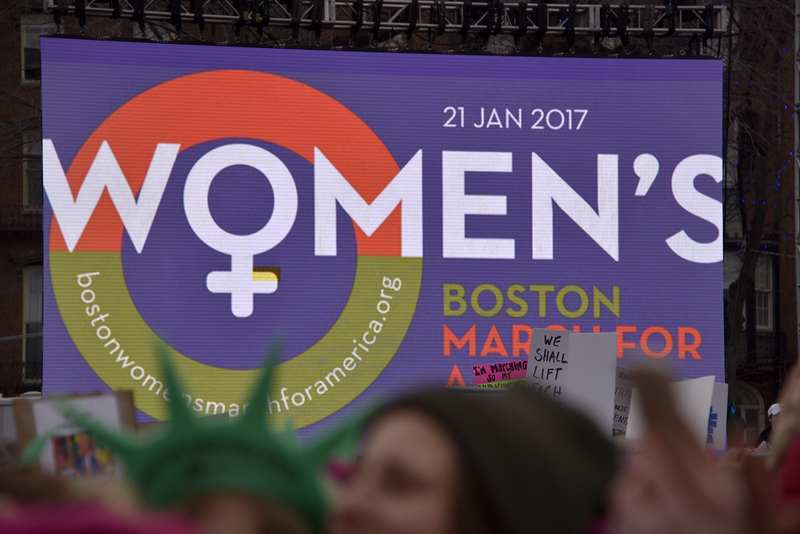 N+S is proud to have worked on the Boston Women’s March for America. The January 21, 2017 event brought together 200,000 people in a peaceful march and rally to stand against hate and for inclusion, respect and equality. Boston was one of the about 700 marches that took place that day with more than 5 million marchers participating around the world. The Boston March was historic—the largest peaceful gathering on the Common in the city’s history, and in terms of attendance as a percent of city population, Boston was second only to the Washington DC March. We were part of a larger team of diverse and highly dedicated volunteer professionals who worked like crazy to pull everything together, and it was an amazing experience to work with so many talented people. Our work for the March included logo design and graphic identity, building the March website, and leading the March marketing, communications and social media teams. We even launched a social media storm coordinated with hundreds of sister marches, which became the worldwide trending hashtag #marchingshoes. The biggest challenge was the time line—we started just before Thanksgiving from ground zero. Fortunately, we had a skilled and energized crew of volunteers on the marcom team. Some highlights…..
• Created and coordinated a channel strategy that combined Facebook, Eventbrite, a blog, Instagram, Snapchat, and Twitter. We also worked with a separate team that organized PR for the March. • Complete graphic identity that spanned digital, social, print, signage and merchandise. • Email campaign for fundraising and awareness—more than half a million emails sent! And, finally, we created and supported communications that helped the March significantly exceed its fundraising objectives. Working at this speed, scale and with so much “going viral” is a very different experience from the sharp focus and intensity needed to successfully market independent schools and colleges. We experienced some of the unique challenges that scale presents as well as the unique opportunities it offers—and also thought a lot about how some of these strategies could be deployed for more focused efforts. We came away with a deeper understanding of what it takes to achieve rapid growth and buy-in for new initiatives. We’ll share more in a future blog post. 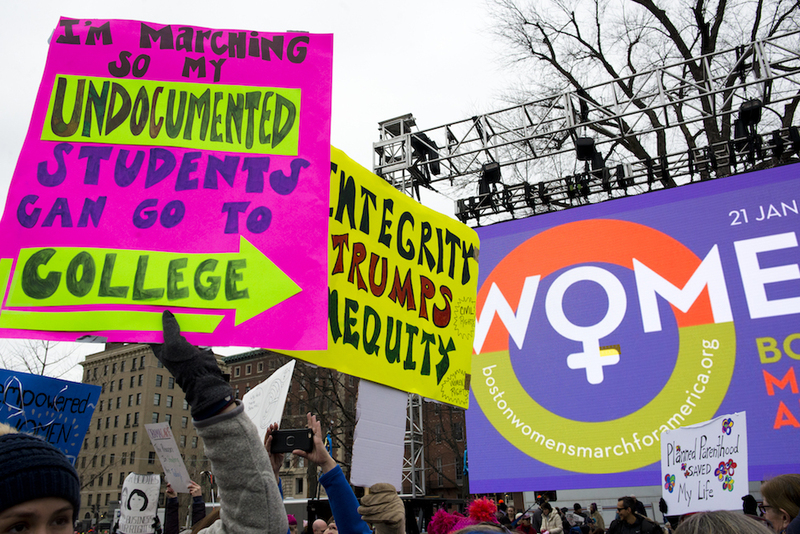 The Boston Women’s March for America is now March Forward MA. We created an evolved graphic identity for this new organization and are now now working on a video project. Stay tuned!